Supplier diversity is at a unique crossroads in 2017. On one hand, the supplier diversity concept is firmly entrenched in the corporate landscape—most companies have been striving to increase their diverse spend for years, even decades. On the other hand, many minority-, woman-, LGBTQ-, veteran-, and disabled-owned enterprises are ready to expand their businesses but aren’t being noticed by companies that can benefit from their services. 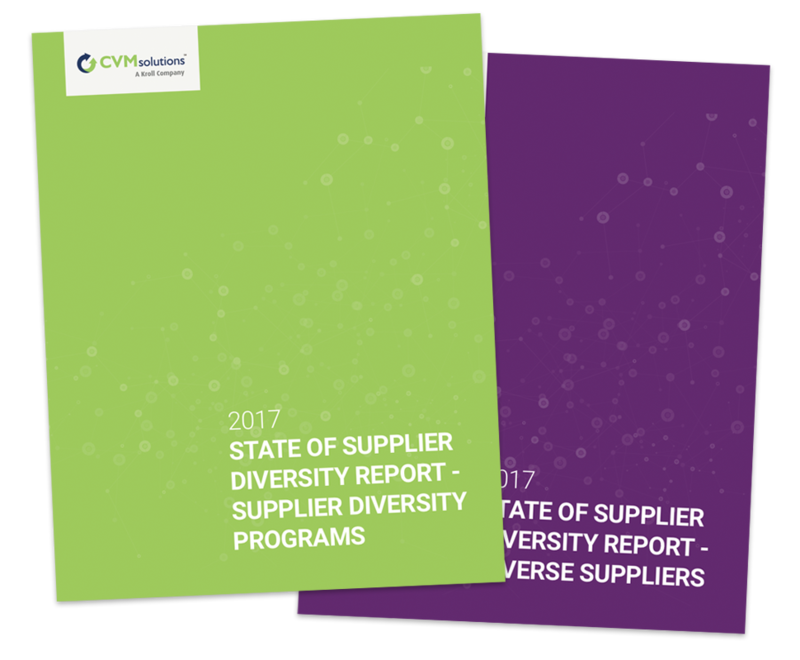 With this state of supplier diversity in mind, CVM Solutions created two surveys to define what each side of the coin looks like: what supplier diversity professionals are experiencing with their companies’ own programs and the reality of diverse suppliers on the other side of those programs. The surveys received hundreds of responses, and The State of Supplier Diversity Reports include the results of this research. 25% of supplier diversity professionals rate their programs as very effective. 75% of supplier diversity programs have been in place for more than 3 years. 68% of supplier diversity programs only have one or two people who manage it. 90% of both minority-owned businesses and woman-owned businesses that took the survey are certified. 82% of diverse suppliers employ fewer than 100 people. 84% of respondents say the existence of a corporate supplier diversity program influences their decision to purchase from such a company.